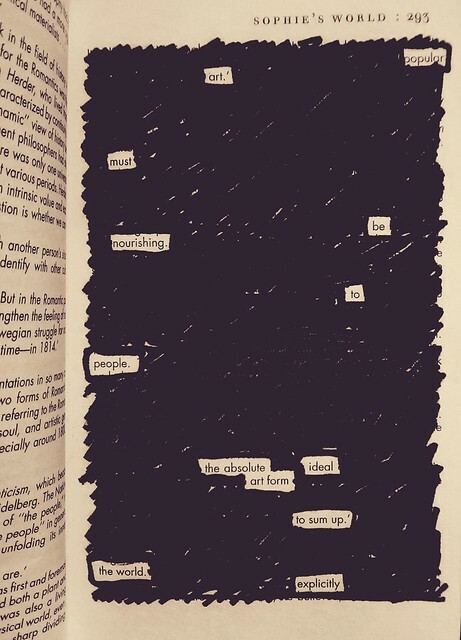 popular artI've been experimenting with some "blackout poetry" recently. 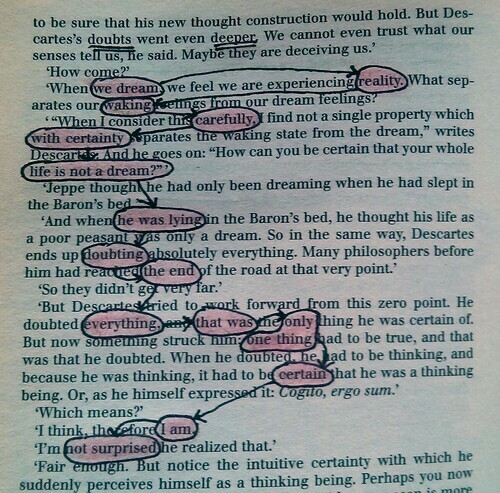 You take some random paper-based text (e.g. a newspaper, magazine, whatever) and black out words until what you're left with is a poem or amusing sentiment. The one above reads: "popular art must be nourishing to people. the absolute ideal art form to sum up the world. explicitly." Since I don't have much random English text available, I bought a cheap paperback (Sophie's World) at my beloved thrift store and have been destroying it for Art and Poetry. So much fun! 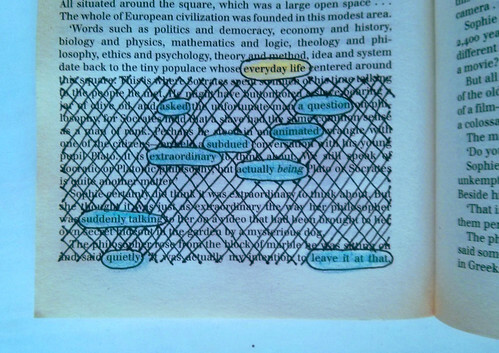 You can see my whole set of blackout poetry on flickr. I don't think I'm done with this yet. It's a challenging constraint to play with.